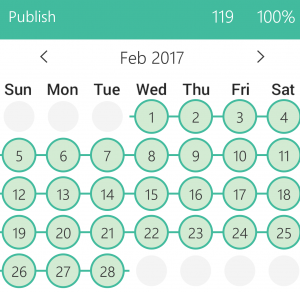 I was having dinner with my copywriting coach one night when he started talking about how he uses a habit tracking app. 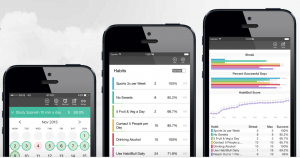 He showed me the app on his phone and that’s how I got hooked on habit tracking! I started using it about 6 months ago and love it! 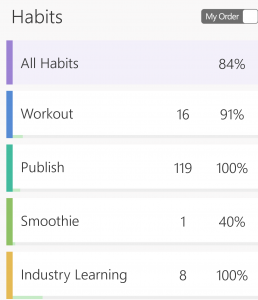 The app I use is called Habit Bull (Android). At the end of the day I simply check off which habits I did. 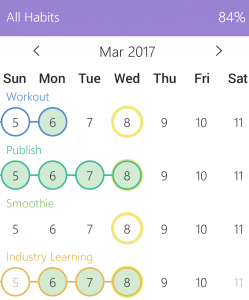 It’s a simple tool but I’ve found it to be really helpful, like my own personal accountability partner.